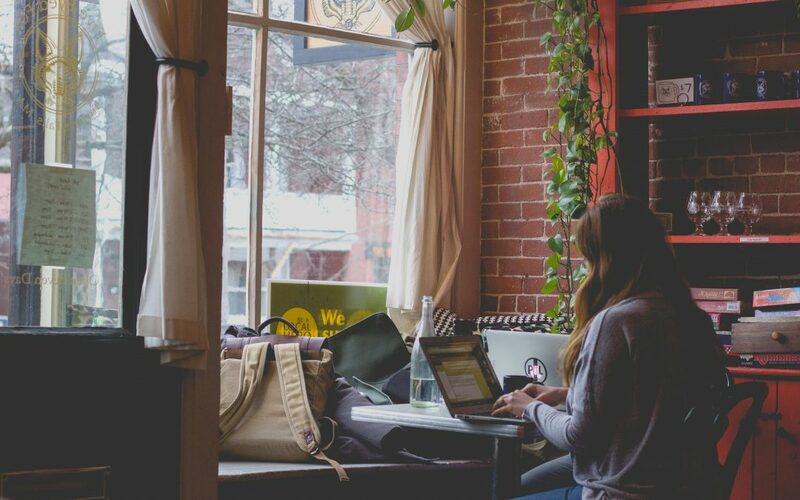 Have you ever considered working remotely, but think you would be less productive than in a traditional workspace? Does it seem daunting to set your own schedule and structure your work day? Where to work: I quickly discovered that if I tried to sit on the couch to do work, I would be much less productive than if I sat at a table. When on the couch, my brain switches into relax mode, but if I am at a table I feel more awake and focused. For some people, finding a local dedicated work space helps. Check out libraries or cafes as well. Figure out what environment helps boost your productivity the most. When to work: I find that my day is most productive if I have a plan from the start. Before I go to sleep the night before, I set a plan of what times I will be working the next day. I plan my day around my clients/coworkers and around what times my kids will be napping or distracted enough for me to concentrate. If I schedule out my day and stick to the plan, it’s much easier to be productive. Best communication practices with clients/coworkers: Does your client prefer to communicate by email or would they like you to send a text with any questions? Do you need to download specific tools to communicate? Effective communication can boost your productivity by making sure you don’t waste time trying to get in touch with anyone. Also, make sure you are able to be reached. Answer communications in a timely manner and let coworkers and clients know if you are unavailable during certain times. The right tools for the job: It goes without saying that having a working computer and reliable Wifi is key to being able to work remotely. You also may want to consider having a printer, or at least knowing where to access one. Will any work you have require additional programs or software such as a CRM or a project management program? Do your clients expect you to have access to specific apps and tools? Remember to ask these questions at the beginning of your working relationship to ensure it runs smoother. Set Priorities: Without the typical office setting, it can be difficult to prioritize tasks and organize your workflow. Find out what works best for you: to-do lists, check lists, etc. 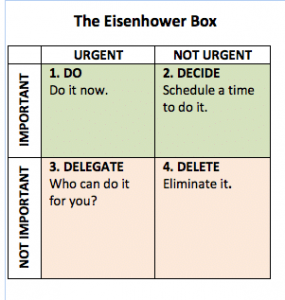 You can also use tools like the Eisenhower box (below) to help you delegate item importance. These tips are not the be all and end all of productive remote working. You need to figure out what works best for you and makes you work the most efficiently. A lot of it is going to be trial and error. Be patient with yourself; eventually you will find a rhythm that works for you. Countdown to our first event!